Bear Fiber Alignment - ACT Products - AGATE CODE TECHNOLOGY CORP.
HU-125 Fiber Pigtail is a good tool fir the measurement of the characteristic of fiber. 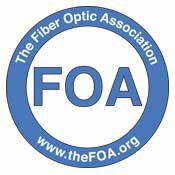 Perform your optical measurement without performing costly fiber terminations. The HU125 saves time and money by allowing a very simple way to connect an exterminated bare fiber or optical components to test equipment. It reduces testing time since no cleaving or terminating is required! The key with Bare Fiber Adapters is low insertion loss and a very repeatable connection. The HU125 sets the standard in BFAs! The HU125 is simple to use: Just insert a drop of index matching oil into the unit. Strip and clean the fiber end and insert it into the unit. (No precision cleave required). The result is a loss of less than 0.3dB and low-reflectance.